Leading immigration law firms and specialists are now benefiting from significant savings on each PERM VISA ad published on the RecruiterNetworks.com exclusive digital national publication network of over 1,000 leading cities in the USA. Miami Lakes, FL, January 14, 2019 --(PR.com)-- Leading immigration law firms and immigration specialists are now benefiting from significant savings on each PERM VISA ad published on the RecruiterNetworks.com exclusive national digital publication network of over 1,000 leading cities in the USA. RecruiterNetworks.com has launched the first national digital publication geared especially for immigration attorneys, specialists and immigration advertising agencies to advertise & publish their PERM VISA advertisements for a flat fee of $99 for a 30-day posting in any of the specific cities served. Immigration attorneys, specialists and advertising agencies now have a one-of-a-kind resource which will enable them to post jobs in over 1,000 top USA cities in relation to legal services and immigration matters with clients including the preparation of non-immigrant visa petitions such as B-1, B-2, E1, E2, E3, F-1, H-1-B, H1-C, H-2A, H-2B, H-3, L-1, O, P, TD and TN. 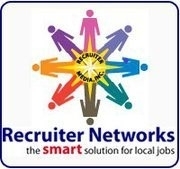 www.RecruiterNetworks.com meets the legal requirement for all visa job posting advertising including immigrant visa applications such as PERM (EB-1 to EB-3) I-140, I-130, and adjustment of status. The RecruiterNetworks.com platform offers the immigration industry the exclusive ability to offer PERM VISA publication for only $99 flat fee on each PERM VISA in any of the 1,000 plus cities served since 2001. RecruiterNetworks.com is geared to work in tandem with any advertising firms the attorneys already may be using. RecruiterNetworks.com is the first in the PERM VISA field to offer a service of this nature since they are the actual digital publisher not an ad firm. The initial response of the www.RecruiterNetworks.com digital platform has been overwhelmingly positive. The company has gained a tremendous number of new clients in the immigration field who are seeking better economics and ease of use. RecruiterNetworks.com has a long history of serving leading immigration law firms, professionals, and ad agencies since 2001.